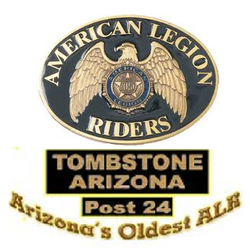 ALR POST 24 is currently operating under By-Laws approved by the general membership of Roy Fourr Post 24 American Legion. The By-Laws that are currently in effect - were approved 10 January 2015 by ALR Membership and 28 January 2015 by the American Legion Post Membership. Bylaws are similar to what you would find in a regulation. Hard - stand-fast and rarely changing.